That appetite from such refiners, often known as 'teapots', has driven up spot premiums for oil from Africa, Europe, Russia and Oman, the sources said, with prices for some grades hitting multi-month highs. "It's as if someone lit a match and the market's caught fire," said one of the sources. All sources declined to be named as they were not authorised to speak to media. For example, Oman's spot premium almost doubled last week to $1 a barrel from the start of the month, while offers of Russian ESPO crude for delivery to China in March have risen by 50 cents to about $3.20 a barrel to May ICE Brent futures, according to the sources and Reuters data. China's refined product consumption could only see 0.5-percent growth in 2019 from last year as gasoline demand slows with an expected 5-percent drop in passenger vehicle sales, while diesel use will continue to contract on weaker industrial output, Lin Chen, Nomura's head of greater China energy global markets research, said in a note. Still, the world's biggest oil importer could see crude imports rising to 9.5 million barrels per day (bpd) in 2019, up more than 4 percent from the previous year, Chen said. 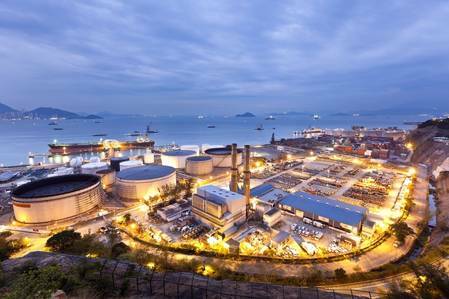 China's refining throughput is set to hit another all-time high of 12.7 million bpd in 2019, about 600,000 bpd more than last year, driven by new refineries Hengli Petrochemical and Zhejiang Petrochemical, he added.